photo by David Sims, Courtesy of Louis Vuitton. 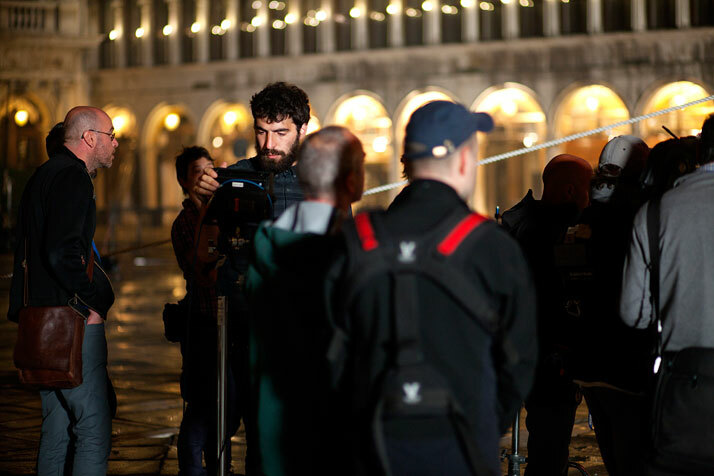 (making of) photo by Pricsillia Saada, Courtesy of Louis Vuitton. Louis Vuitton has launched its end-of-the-year advertising campaign starring music icon David Bowie and model Arizona Muse. The short film is the second part of the ‘‘L’Invitation au Voyage’’ series which follows Arizona Muse as the Louis Vuitton Woman in her remarkable travels around the world. 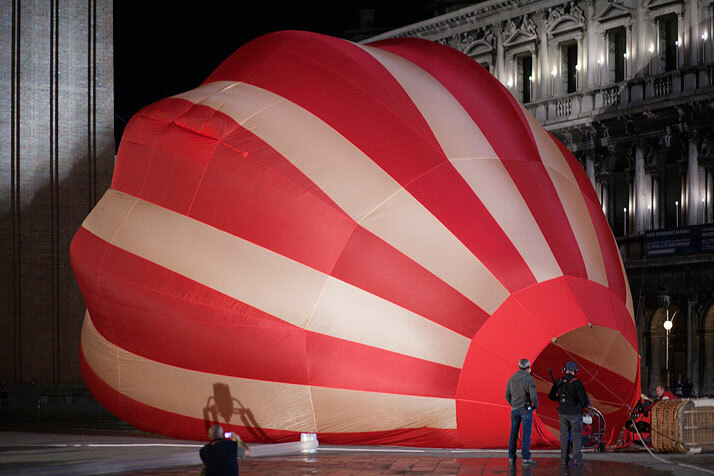 The first episode (released in November 2012) showed Muse discovering a mysterious envelope in the Louvre Museum in Paris before setting out to an unknown destination, as she flew over the rooftops of the French capital in a striped hot-air balloon. 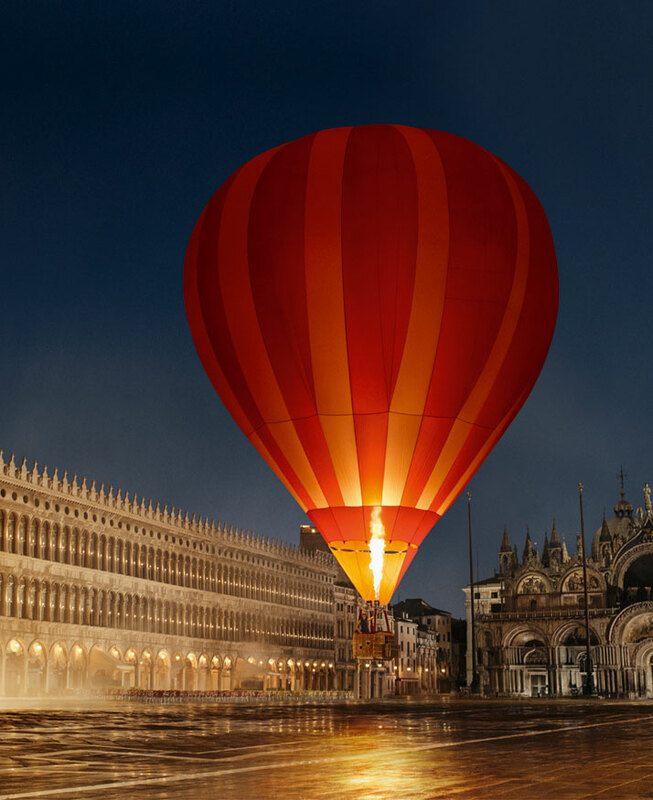 The new film begins with Muse’s balloon landing in Venice’s Piazza San Marco and continues with a series of surprising encounters across the city. The film creates an allegory of travelling through time, and draws a portrait of the Vuitton Woman as a woman who takes her destiny into her own hands, a modern explorer who strides into an unknown world with natural grace and self-confidence. Her courage and boldness reward her with an unforgettable experience, and open the doors to even more exciting journeys. David Bowie is wearing a Tambour Evolution watch. Arizona Muse is carrying the Vivienne bag and wearing a Monogram Idylle 3 gold necklace and a Lockit bracelet in pink gold. After her spectacular arrival in Venice, Muse finds her way to a magnificent palazzo, where she meets the legendary David Bowie playing the harpsichord. Their eyes meet, and Bowie plays a version of his song “I’d Rather Be High” (from his 2013 album, ‘‘The Next Day’’) just for her. 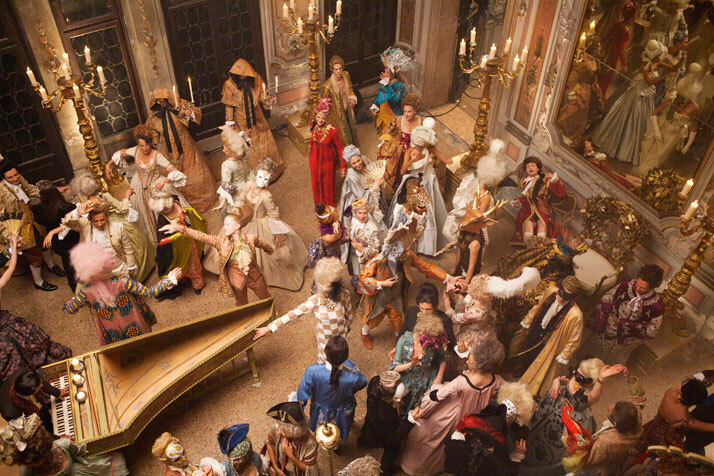 The song gradually transforms into a delirious soundtrack for a Renaissance-era masked ball. The guests are a host of extravagant figures, the one more bizarre and glamorous than the next. Mesmerised, Muse is carried away by the atmosphere and the overwhelming experience. But in the blink of an eye the party is gone, as is David Bowie, leaving Muse alone in an empty room lit by daylight. In her Vivienne bag she finds a music manuscript of Bowie’s song; the only proof that what she had seen was in fact more than a dream. She then makes her way to the Canal Grande, where yet another surreal image unfolds as she embarks a traditional Chinese sail boat loaded with Louis Vuitton trunks, which then carries her across the lagoon to new travel adventure across the seas. 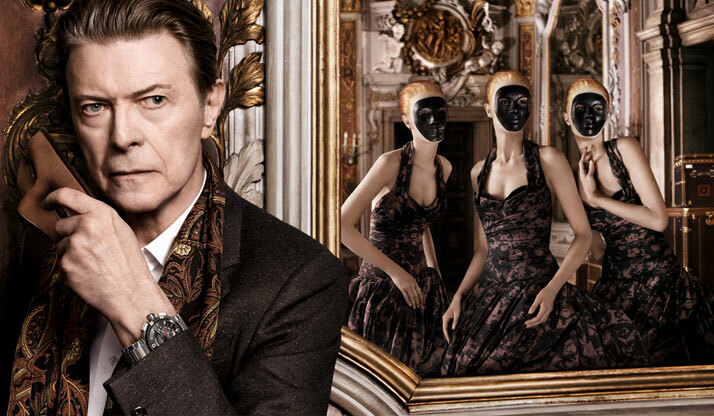 David Bowie is no stranger to Vuitton. The music star has recently worn designs by Vuitton’s men’s studio and style director Kim Jones in his performances and video clips, thus forging a natural link between him and the Maison. His unique personality and ever-lasting charisma have enabled him (since the beginning of his career) to blur the boundaries between reality and fiction, masculine and feminine, flamboyance and simplicity. All that, together with David Bowie’s popularity amongst different age groups and engagement with many artistic disciplines reflect Louis Vuitton’s profile of ‘‘moving through time’’ and embracing all forms of creativity.